ARGO marketing solutions Co., Ltd.
We are specialists in B2B integrated Marketing. We’re focused on B2B Tech Marketing focused thoroughly. 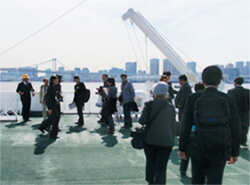 We will help to achieve your business to success in business expansion and entering the Japanese market. In the early 1990s, we built our expertise in architecture, electronics and environmental marketing. Since year 2000, we have further developed our experience in manufacturing marketing and communication strategies. Recently new marketing techniques have been emerging one after another. These techniques are in fact the key for businesses to succeed. On the other hand, in the case of B2B, practice based on theory is also necessary. ARGO marketing solutions will re-launch in a new form in April 2019. ARGO marketing solutions has served numerous companies since it was founded in 2002 as a marketing and public relations company. At the same time, I have also been involved in business ventures in the semiconductor industry for the past 15 years. What I have learned in this industry, where conditions change dynamically with dizzying speed and must be responded to in an instant, is the need to track market movements accurately at all times. What is essential for this goal is to always grasp market movements using all possible means, anticipate the next step, and respond with a sense of urgency faster than anyone else. From the standpoint of marketing, there are limitations to placing advertising, Public Relations, sales, and sales promotion in silos and carrying out their activities in a piecemeal manner. I have learned that to maximize results with limited resources, one must execute the most appropriate methods from the standpoint of the enterprise as a whole with precise timing. ARGO works in a massive, structurally complex, global market that is 50 trillion yen in size. It is a business where a spirit and idealism of “Let’s just concentrate on sales, and we’ll be able to make inroads to customers with good old fashioned sweat and pounding the pavement” simply will not work. There are no textbooks or teachers explaining how technologies and approaches representative of Silicon Valley penetrate cutting-edge industries. One must think for himself or herself. The marketing arising in this situation is, in a word, “IMC” (integrated marketing communication). However, general IMC, like many marketing theories, has many elements best suited to the consumer goods business—or in another word, to B2C. Many believe that at present IMC is not suited to B2B at all. I have thus spent many years developing a theory of B2B built on IMC, based on what I have learned and the struggles I have experienced. I have finally completed this theory, and wish to put it into practice. I have thus decided to greatly transform ARGO’s business and re-launch the company in a new form. Faster and greater changes are taking place today. The approaches now considered to be optimal may become obsolete. However, there is an essential thing that does not change. This essential thing is not something superficial, but is the truth that one obtains by himself or herself through deep experience and insight. This essence must be valued. If a company strays from this essence, it becomes like a rootless grass, blown and swayed by the winds of change. So the expertise and essence experienced by ARGO’s specialists in different fields are valuable assets. Moreover, we must improve ourselves in our own way so that we can track changes accurately, from a global perspective, in a world that is changing at a bewildering speed, and provide the most advanced and suitable solutions to customers. Together as one, we will continue our diligence everyday so that when we solve our customers’ marketing challenges, they will think, “I’m really glad we chose ARGO as our partner.” The new ARGO marketing solutions is here to serve you. Construct a relation between MPP global and target media and aim for repetitive media exposure for a long time. (1) Share the latest information on issues, consider countermeasures for issues. (2) Review of new initiatives (implemented in accordance with original proposal content). 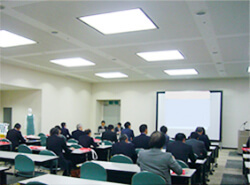 ※Consultation, meetings etc. by phone, e-mail etc. are carried out as necessary. Effect Basic practice as effect publicity, application correspondence started. Results Improve awareness of potential customers through awareness enhancement to the media side. Contributing to the establishment of brand image of the company as a whole and service, contribution to profitability. Continue To further activate public relations activities (strengthening media relations, new exploitation). Result Contributing to the establishment of the brand image of the company as a whole and service, contribution to earnings. To hold a small press conference with a monitoring system as a hook. Unique know-hows and views are necessary for B to B sales in Japan. It is not that good products and service are simply purchased. We have developed three methods based on our long-term experience in B to B technology marketing. We manage these three methods integrally and provide consulting on the know-hows to perform PDCA cycles of technical sales internally. We propose a program to integrate sales of this style with media relations and sales promotion. 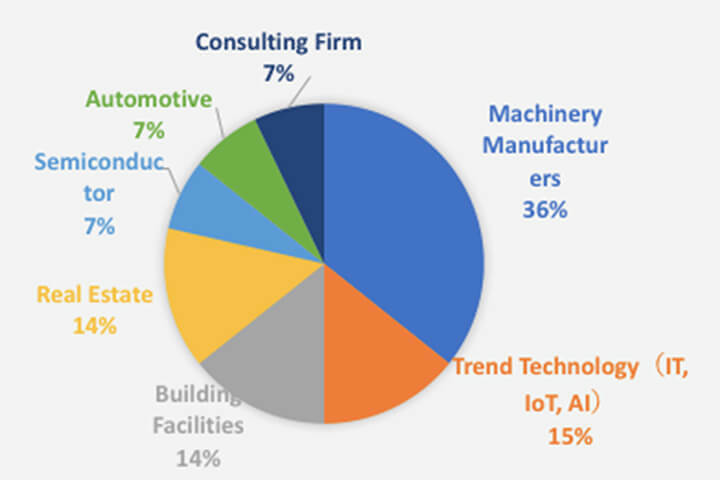 Approximately 80% are small and medium enterprises, machinery, equipment and IT fields have been increasing in recent years. Promotion (PR) . Based on wisdom and ingenuity based on expertise based on marketing, we will strive to maximize results while reducing cost as much as possible, flexibility to adapt to various situations and applied force toward resolving various issues I am receiving evaluation. Planning of corporate identities and development of sales tools for an IT-related company. PR activities for a foreign IT device manufacturer and support for its business alliance with another company. Planning of new business models for cell-phone websites. Planning a blog that was opened for only a limited amount of time by a convenience chain store. Support for the launch of a communications department for a cell-phone company and planning of its CSR activities. Training of communication personnel and sales promotion support for a business software developer and seller. Management of press conferences introducing new products for a foreign timber management company. PR activities for a new business for a materials manufacturer. 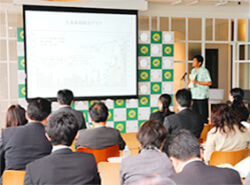 Organizing a press conference for a foreign materials manufacturer regarding its environment month. PR activities for an original motion equipment. Supporting communications for an apparel maker that particularly uses plant-based fibers. Supporting PR and communications for Biodegradable plastics. Supporting PR and communications for building materials of luminescence. Consultation services for the marketing of a social action program for a consumer loan company. Supporting PR and communications for Real estate deposit systems. Supporting PR and communications for online brokerage. Promotion of a recycling system jointly developed by a foreign recycling company and a domestic logistics company. Planning and management of an ecological products exhibition for the environmental management division of an electronics manufacturer. Supporting communication activities for allergy-tested skin care products and the planning of CSR activities. Communications for a carbon offset provider. Consultation services on corporate communications for a home improvements company that uses only eco-friendly materials. Branding communications for a manufacturer of kitchen instruments that remove oil from drainage water. Lobbying activities regarding new energy. Planning of communications for a ski resort. Consultation services on communications for a think tank specializing in research on the environment. Communications on ecological driving and branding for a company handling related services. Supporting communications for an ecology-related distribution company and providing training for its communication personnel. Setting up a communications desk for a company handling LOHAS products. Consulting service for the communications and marketing departments of a food material manufacturer and planning for its new business launch. Promotional activities for a high-class Japanese restaurant using only the purest cooking ingredients. Customer management and information delivery for a well-established French restaurant. Proposing a menu for a fast-food restaurant with new concepts. PR activities for the opening of a Japanese pub restaurant in Yotsuya, Tokyo. PR activities for a wholesaler of fresh vegetables. PR activities for a specialty Japanese tea shop.・PR activities for an Italian bar. PR activities for a fried dough stick specialty shop. Planning a new business model for the lunch-box department of a well-established Japanese restaurant. Communications planning for fruits imported from the U.S.
PR activities for a group of organic vegetable producers in Okinawa. PR activities for snacks produced using solar photovoltaic energy. PR planning for a hydroponics culture. Information gathering and communications planning for boxed lunches with new concepts. PR activities for research on safe vegetable puree. PR activities for research on one particular flavoring substance. Acting as an observer of a committee to promote environmental plans in Shiwa-cho, Iwate Prefecture. Setting up a communications desk for a program to expand and enlighten people about organic farming, which was sponsored by the Ministry of Agriculture, Forestry and Fisheries of Japan, as well as carrying out the PR activities for the program. Supporting both small and medium sized corporations in Tochigi Prefecture. Development of sales tools for a research firm. Consulting services on PR activities for a travel company. Web marketing for a staff consultation company as well as consultation services for its PR activities. Development of a website, advertisements and plans to attract guests to a well-established art gallery in Ginza, Tokyo. Development of a website for a law firm. Development of plans to attract clients to shared office spaces. Development of plans to attract visitors to the website of a medical dentistry treatment coordinator. Renewal of the website for a well-established towel wholesaler and support for its promotional activities. PR support for a skin care product manufacturer and planning its CSR activities. PR activities for “Ukaru-kun,” a character representing Hitachi-shi Ibaraki Prefecture. Coordination of the summer festival in Hitachi-shi, Ibaraki Prefecture. Coordination of press conferences announcing the launch of a tourism business and food brand. Supporting PR activities for the “Adventure Japan” magazine. PR activities for commodities from different Scandinavian countries. © ARGO marketing solutions Co., Ltd. All rights reserved.